Upon arriving to a new city, one of the first things I like to do is take a bus or boat ride, or hustle to the highest point in the city to get a grasp on my surroundings. London was no different, so I headed to the London Eye. The London Eye is a giant ferris wheel that towers 443 feet in the air and I wanted to see what that heck was way up there. As I approached the impressive structure I was having flashbacks of my last ferris wheel ride. It was not pretty. You can spin me upside down twenty times on the Zipper, but the simplest ferris wheel ride made me revisit my prior meal of corndogs and pink popcorn. Like I said, not pretty. Our reservations had been made well in advance and, even though I was previously unaware, they were Fast Track tickets. I was not privy to what that meant until I handed them to the attendant who scooted us to a separate line from the general admission, passing hundreds of folks in line. Get a Fast Track ticket people. It costs a bit more, but saves at least an hour in waiting. 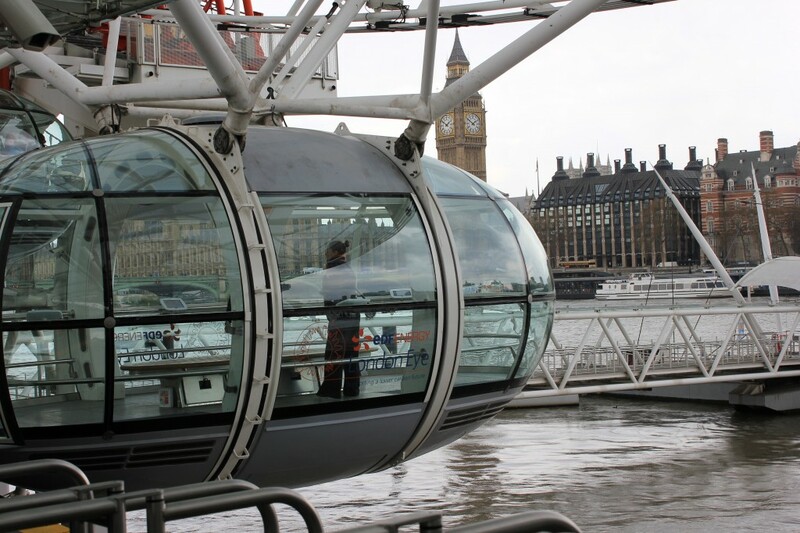 The London Eye has 32 capsules, representing the 32 boroughs of London. Prior to entering the capsule I attempted to scope out which interior location would have the best view. I ignorantly determined it to be the outside right and told Peter to make a run for it when the doors opened. Each one of the capsules can fit up to 25 people, but we were lucky enough to only have half of that, so getting a good view didn’t really require any scheming. I immediately hoarded the interactive screen that identified several of the buildings in our 360 degree view, taking note of any I may want to see close up. 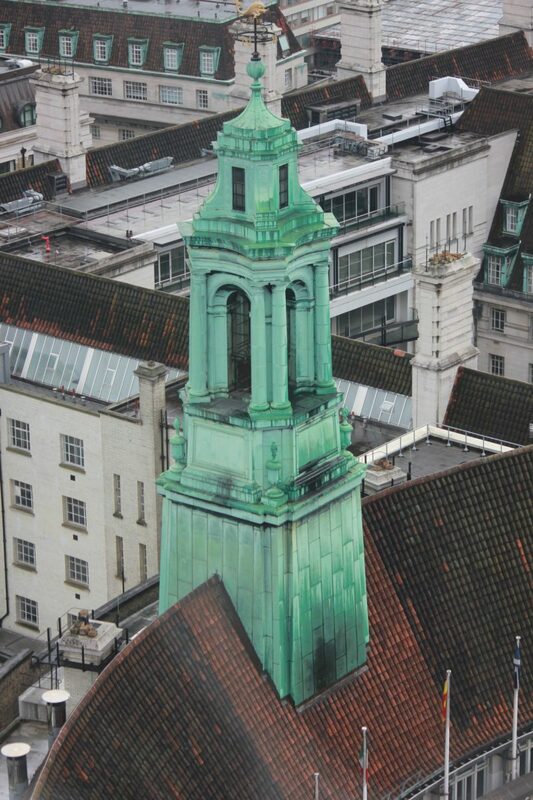 On a clear day, it is possible to see 25 miles of the beautifully amazing London. That would be a lot of ground to cover on street level. 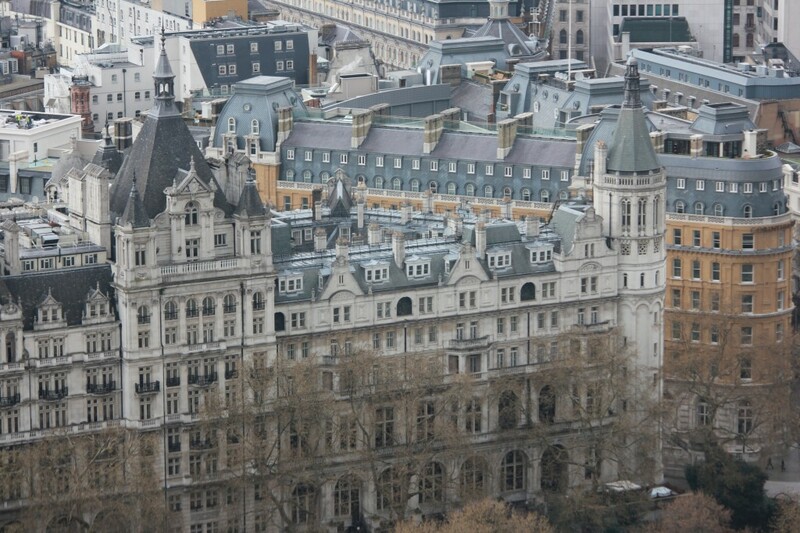 My favorite was the London County Hall. The entire London Eye rotation takes a half hour, slow enough to avoid making me queasy and fast enough to avoid making me bored. Yes, it was uber-touristy. But, paired with my London city map, I had a better understanding of the layout of the land. And I felt better prepared for my next London adventure. 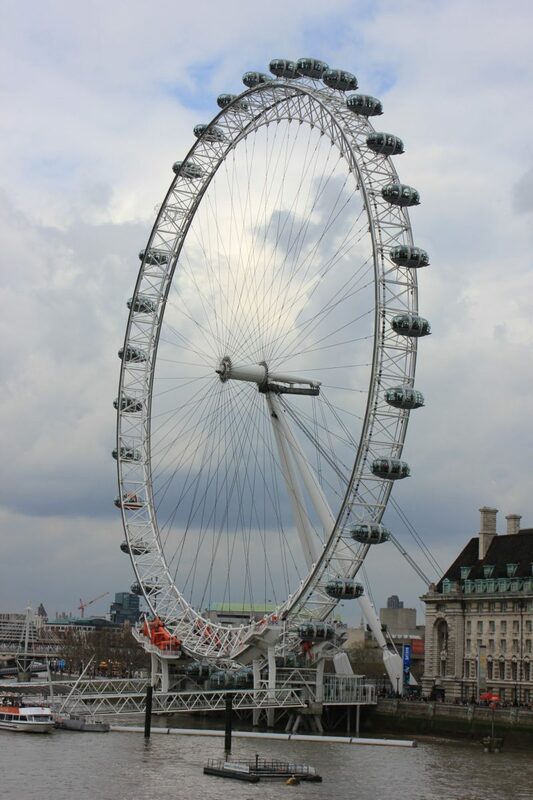 Have you ever taken a spin on the London Eye? What do you do when you first arrive to a new city? Disclosure: This attraction was sponsored by the London Eye, but all the words I write come straight from my, sometimes distorted, mind. Just as it should be. Looks like you had a reasonably clear day on the Eye! Nice shots Annette. Yes, just a few little sprinkles. 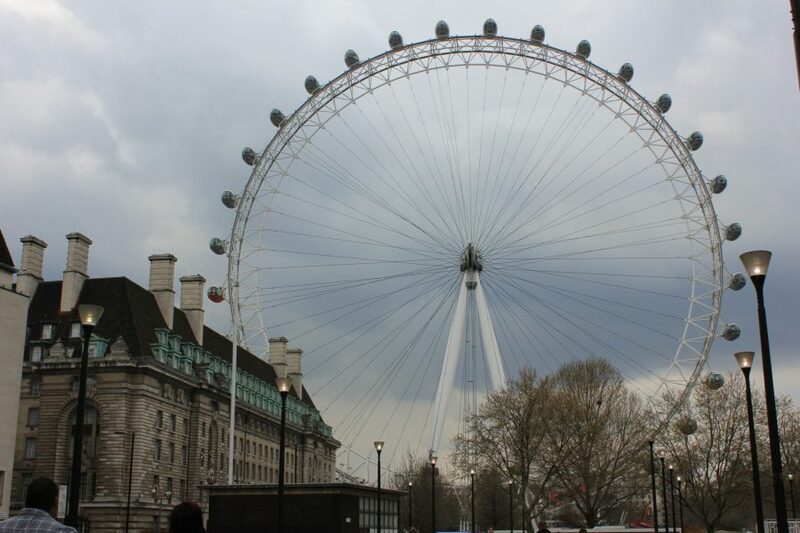 I loved the London Eye 🙂 I went with my study abroad class on an excursion to the city (I studied outside of Amsterdam) and it was one of my favorite things I did 🙂 I love heights though, so I was not scared in the slightest. 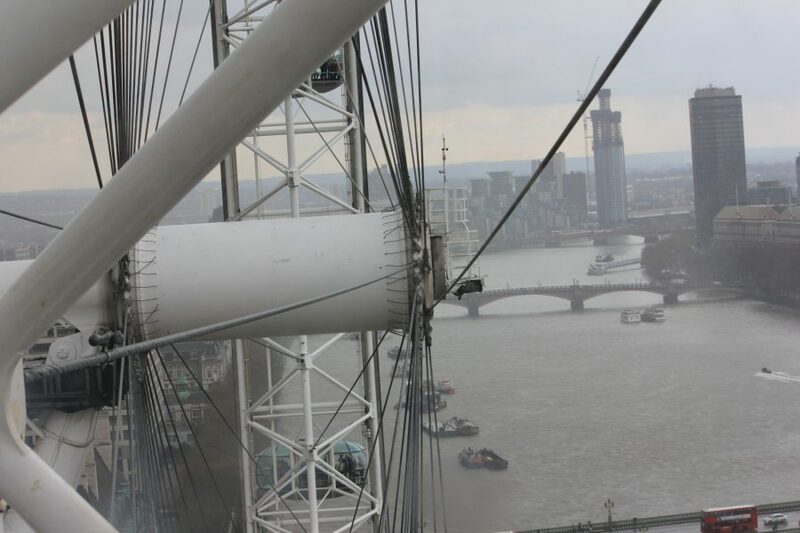 I would not say that I love heights, but for some reason I was not scared on the London Eye. I haven't gone on the London Eye. In truth, I've been a little concerned about being in capsule for half an hour. But I better get over that, because the views must be stunning. Thanks for the tip about fast track tickets. I skipped the 4D move because I had just been to one in Texas and had limited time. Next time I’m in London I’ll have to take a bus tour! I did hear great things about them. I'm ashamed to say that I am a Brit living not too far from London (30 min ont eh train) and am still yet to 'do' the London Eye. I MUST rectify that ..! I too like to jump on a city tour bus as soon as I get somewhere new – soem tell me it's too touristy and tacky but I have discovered and seen some great things on them and would recommend it to everyone! The London Eye was also one of the first things I did when arriving in London. I can't say it was my favorite, and I do agree with the person above that said the double decker bus was a better way to see London. I'm still glad I did it, but yeah, probably just a one time thing. Darn, now I really going to have to go back to London to ride a double decker bus! This looks like a great experience! Would love to do this when I'm in London. Ugggggg, just spent a week in London a few months ago and didn't take any good photos of this while I was there. More reason to go back, but so damn annoyed with myself. I have not been to the UK and this is one of my must try thing to do in London when I set my foot on UK soil. I love your post! 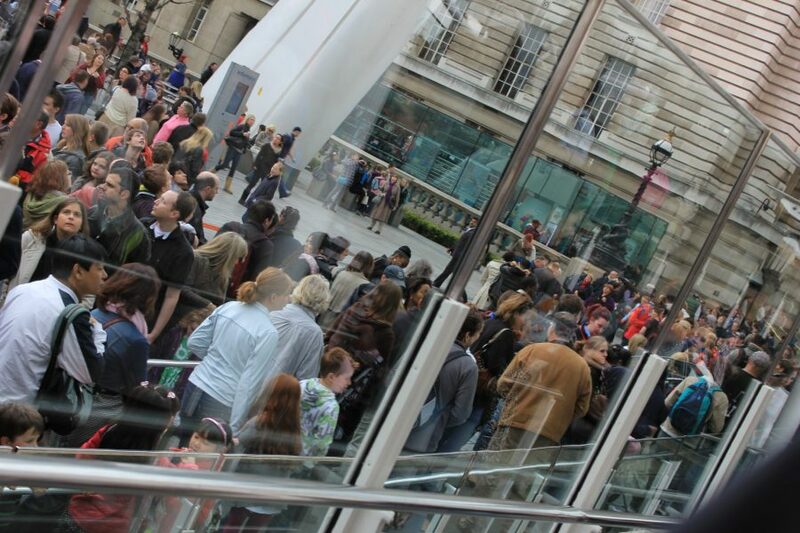 I absolutely loved my visit to London and look forward to going back to see all the stuff I missed! I lived in London for one month short of a year – and I finally went on the Eye on my very last day! The tickets were actually a gift (and if I'm honest, I think I probably would have been a bit turned off by the price if I had to pay myself) but the view was a great way to say a tearful goodbye to London (literally, I started crying. Haha). Hope you enjoyed London! I did truly enjoy my stay there and look forward to returning! I've been on the Eye twice and it was a pretty cool experience. Expensive, though! It is definitely one of the higher priced tourist attractions! my, we are a self absorbed piece of fluff aren’t we? “the simplest ferris wheel ride made me revisit my prior meal of corndogs and pink popcorn”. Is this really necessary? who cares? Have fun, just don’t think everyone cares about every angstrom of your pointless life and travels. whatever you do, don’t visit anywhere yukkie or struggling and for godsake, don’t help anyone. Wow.. travelling the world and running a restaurant. You are busy! 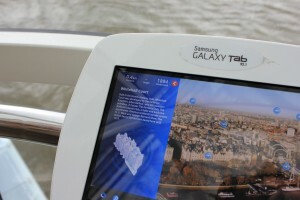 I agree, the London Eye is a fantastic addition to what you are able to see and do in London.. and with it being an observation wheel it lets you see a “lot”. The views are amazing day or night, just try and go on a clear day to gain maximum viewing pleasure. It’s awesome and one of the best, if not THE best “Eye” in the world. Yes if you go to London you have to go on the London eye. It is amazing. I am planning to go to London, and really loves the London Eye, I also have searched a lot articles about large ferris wheels, I really love these wheels. Thank you for you sharing.